Advertising is always changing in the way it’s presented and the ways you can reach the intended customer target group. Maybe you’re only a small business that hasn’t been around long at all, and you don’t have the kind of revenue to begin television and radio advertising. 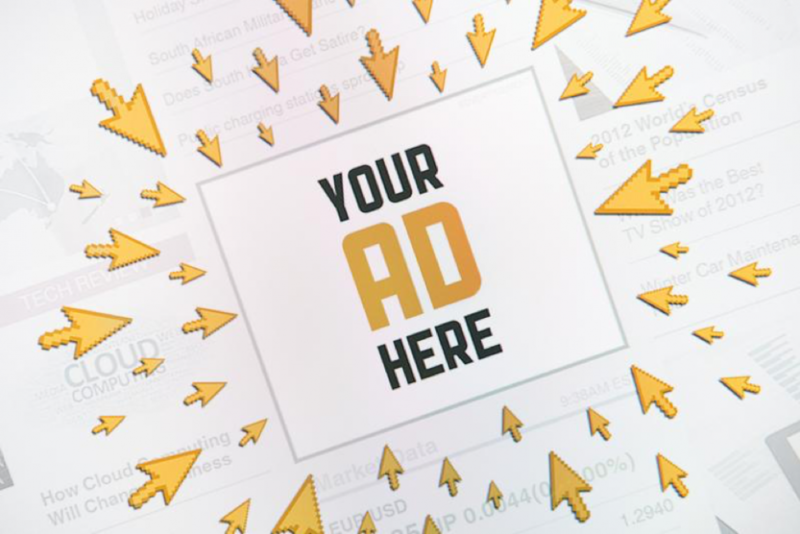 Fortunately, there are many advertising platforms beyond industry basics like pay-per-click (PPC) search or banner ads. There are many new avenues to explore since the emergence of social media like Facebook and Instagram, and the ease of promoting your brand on YouTube. But even though it can be easy to launch ad campaigns through the internet and mobile web platforms, you still have to make your ROI count and make sure you know how to beat your competitors at it. So how do you build an attention-grabbing ad that can do that? Every business big and small really needs to have a brand that will resonate well with their customers. So really before you start creating your images, video or click banner, you need to make sure your company has a message and identity that evokes positive feelings when people think of you. Characteristics you should seek to demonstrate in your brand are originality, sincerity, authenticity, showing you understand and care, consistency and great value. Now in a short banner ad or video, you’re not really going to have the time or space to explain your brand in full detail, but certain words you choose should point it. How you do this step will depend largely on who you’re trying to market your ads to. For example, a flashy and crazy-colored ad might resonate well with young millennials age 18 to 26, but may not go well with middle-aged parents in their late 30s to mid 50s. Now each audience can still respond well if you take the time to make your ad colorful in its own way and show some artistic endeavor. But you want it to be appealing to more senses than just sight, and you want to make sure that your visual creativity falls in line with your brand. One thing you have to remember is you’re trying to build a customer base that will love your product so much they will encourage their friends to ditch your competitors and come over to you permanently. But in order to do that, the wording and overall messaging needs to emphasize the customer using words like “you” and “yours”. You want to show how your product and company can change their lives whether it’s through offering big savings or offering a product that’s more efficient than any other in its class or showing another benefit entirely. But the benefit should definitely point back to the brand and what makes your company unique. It’s not just your story that can get the attention of new customers, but also the stories of customers who’ve used your products. That’s why if you include a positive customer review in your ad that’s been posted on your website or somewhere else online, you’re bound to pick up even more customers. One of the reasons this is important is because if you offer a deal that sounds too good to be true, customers will be skeptical unless they hear from someone else that the deal is legitimate. Four out of five people trust an anonymous online review as much as they would the personal assessment of a trusted friend. Reviews are by far the most important part of marketing today because people take the word of others like them more so than celebrity endorsements. No matter how tempted you may be, you should never buy reviews. Sometimes in order to show your customers you relate to them and understand their needs, having your company’s story told in a short version in your ad can elicit a great response. Certain information such as where your business came from and how it grew can help your audience understand that you know people who come from certain demographics, or that you haven’t forgotten where your business came from and that the local communities it serves are essential. Many people like to hear true stories especially if they can tell them what a company is about. In conclusion, building an attention-grabbing ad doesn’t have to be something you pay a lot of money to a marketing agency to do. You simply need to know what tools are out there such as visual or video design, banner ad creation software or services, or even free or low-cost search engine marketing tools and get creative with how you use them. For mobile apps and products, you can encourage customers to leave reviews because you care about what they think and you want to hear from them what your products are like.